You at one time believed God brought you and your husband together. That’s what you told others. And that’s why you married him. Yet, looking back…you were more concerned about what you would receive out of the relationship, than what you could give. 1) Look to God first as your spiritual husband (Isaiah 54:5). By letting God meet your emotional needs , you will no longer be expecting your husband to be your all-in all. When you are healthy spiritually, you can be healthy emotionally. 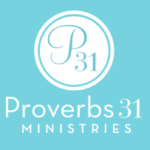 When you are in a growing relationship with Christ, you are more able and stable to deal with whatever comes your way….regardless of your husband’s behavior toward you. 2) Lift your heart up for change. For years, I asked God to change my husband and make him the kind of man I needed. 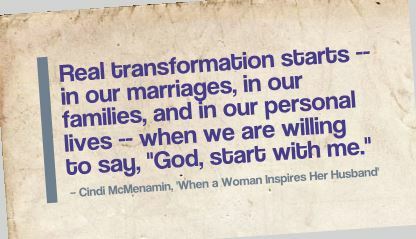 But real change in our marriage began the day I finally asked God to change me and make me the kind of wife he needed. God blesses that desire of ours…to serve another and not ourselves. When you begin to love your husband as God does — focusing on serving him rather than being served, on meeting his needs, rather than having yours met — you may very well find that he has much less to criticize you for, much less to be rude about, and much more of a desire to pursue you again. I don’t suggest this in a “let him walk all over you” way. Not at all. I mean this in a “live obediently to Christ” way. As you put your husband first, and thus fulfill your God-given role as his “helper” (Genesis 2:18), you’ll be surprised how God takes care of the rest. But it’s time to quit asking that question. It’s time to quit thinking about how you will be treated. It’s time to live like Christ and trust that He will honor you for it. I wrestled with those same questions. But when I began to focus on how I could change and began to apply the principles from When a Woman Inspires her Husband, either my husband started changing and being the man I needed him to be, or I didn’t notice anymore the way he was falling short of my expectations. The bottom line is, when we seek God’s will above our own, He always blesses. And what you consider bitter right now, He really can turn into something beautiful. God clearly states in Scripture that He hates divorce (Malachi 2:13-16, NASB). Divorce says to God, your spouse, your family and your friends “This relationship cannot be reconciled.” How can we trust God with the reconciliation of our soul for an eternity if we cannot trust Him to reconcile our most important earthly relationship? The God who reconciled sinners to Himself is sufficient to reconcile your marital relationship, too. God cares about your marriage even more than you do. And He wants to make you more like His Son through whatever you are going through now. Trust Him with your marriage, your story, your heart, your feelings, and your future. And inasmuch as it depends on you, surrender your marriage to Him. He is far more capable than you realize (Ephesians 3:20). And finally, for those of you who truly wanted your marriage to work and your spouse was the one who said “I’m done” — our God saw it all. He knows your heart and He sees your tears. And though someone else gave up on you, He has not. He is still writing your redemption story. Do you have a story of how God came through in a mighty way in your marriage or in your heart? I’d love for you to share it in the comment section below. I know many of my readers really need to hear that story about now. on Advice for the Frustrated Wife – Part 2. Thanks, Chery. A compliment a day really does work. I remember, when I was first married, I would thank God every day for my husband on my way to work. There are times I need to remember to do that again. I need to be as grateful today as I was back then. When we thank and praise God, it changes our hearts and our perspective. Thank you for going through God’s Whispers to a Woman’s Heart as your devotional again, this year. You’re right….those devotionals on “A Fresh Start” and “A Clean Slate” are appropriate…especially at this time of year.